Remodeling expenses may seem inflated, but there’s actually several factors that affect your bathroom remodeling quote. Home remodeling projects are known to be a large investment, requiring careful consideration and financial planning before beginning the process. When shopping around for contractors, you’ll want to be provided quotes that break down the costs into an easily digestible explanation of what you’ll be paying and why. In this blog, we’ll take a look at what things should go into the bathroom remodeling quote you receive from prospective contractors. The basis of every bathroom remodeling quote is its layout. This means the size and scope of the project. Are you remodeling the current space you have, or expanding it into the next room, requiring walls to be knocked down? Are you going to be re-tiling a area of the floor where tiling was not originally replace, requiring for the floor to be torn up or reinforced? All of these aspects will add significantly to the overhead layout cost from the outset. Layout also feeds into greater structural work. Bathrooms are difficult compared to say a bedroom remodel because significant layout changes require contractors to rework your home’s plumbing. Additionally, electrical needs can enhance the price if significant rewiring is needed. Consider whether you want to work in your the space you have or expand it to get a better idea of what the layout costs will look like. Another factor that contributes significantly to the overall price tag of your bathroom remodeling quote are what materials you need for the project. This category is probably the most flexible according to your own needs and wants. 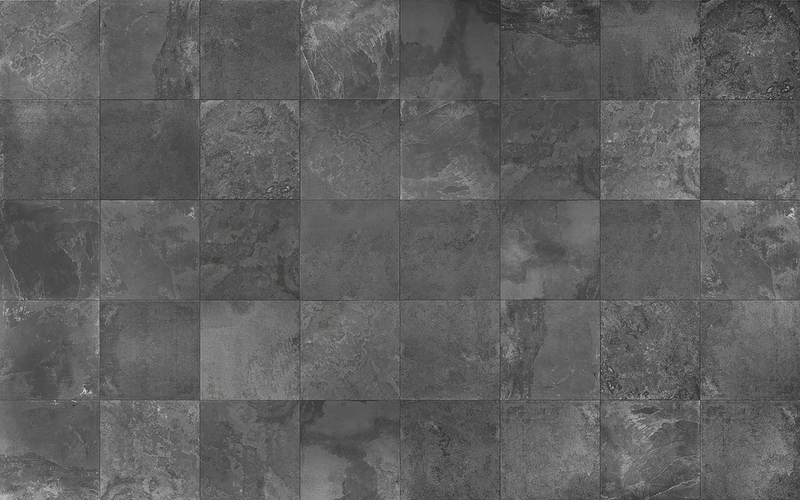 Do you want specialized niche tiling for your bathroom floor, or are you content with basic linoleum flooring? This also extends to fixtures like toilets, sinks, tubs/showers, and lighting. A full walk in shower with a fancy shower-head will obviously be more expensive than a standard insert tub/shower combo. As stated, material costs is probably the cost point you have the most flexibility with in your bathroom remodeling quote. Communicate your budget with your prospective contractor and direct them on what materials you’d prefer. The final cost piece of your bathroom remodeling quote to consider is labor costs. These are the fees you pay to the contractors for the work. Not only does this include physical labor done on the remodel, it should include the cost of project design, planning, and management. This part of your quote will largely be determined by the contractor you choose. However, it’s important to note that you absolutely get what you pay for in a remodeling project. While some contractors may be able to undercut the prices of others, be wary where those price cuts are being applied. One of the biggest mistakes than can be made is hiring a contractor that doesn’t have the proper insurance for their employees. If an injury occurs on the job and your contractor isn’t properly insured, a lawsuit could be headed your way. Only invest in contractors that have a proven track record and available feedback from clients. In need of a contractor with decades of experience and a dedicated team? Contact Native Sons today to get your bathroom remodeling quote. Our project managers work from start to finish with you so everything from material costs to labor costs are properly laid out so there’s not hidden fees waiting for you down the road. Give us a call today. If you’re considering remodeling your bathroom, it’s likely that you’ve taken look at standard prices in your area and had to catch your breath. In 2017, the national average for a mid-range bathroom remodel was $18,546. That is as much a new mid-range car. However, the reality of bathroom remodeling is that it requires a large variance of skills, materials, and design strategies to execute a remodel that delivers the beauty and proper functionality you desire. Below, we’ll break down each important aspect of your bathroom remodel. By the end, you may come to realize that the scary price tag you see upfront is actually reasonable, all things considered. Bathrooms can be notoriously difficult to remodel for laborers due to the fact that a variety of different skills come into play to create a beautiful and functional bathroom. 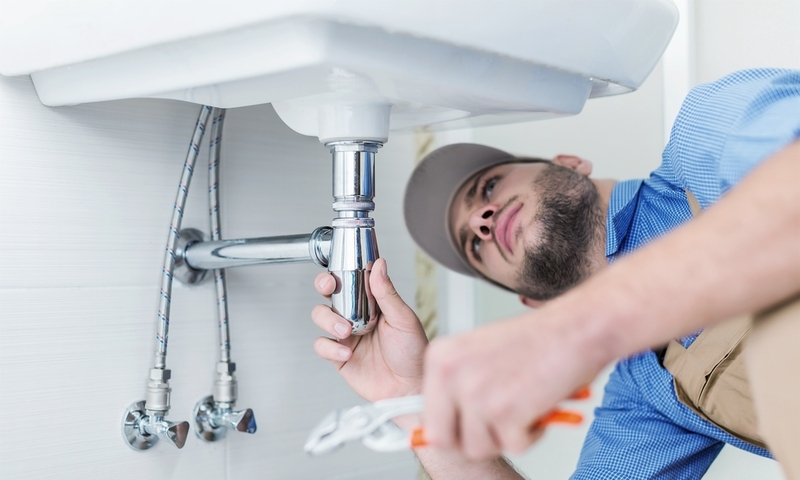 Not only do you need laborers with expertise in the installation of tiles, and fixtures such as sinks and tubs, but replacing your toilet often requires the oversight of a skilled plumber to ensure that the remodel does not adversely affect your home’s internal piping. Replacing your light fixtures? The remodeling crew will require the skills of an electrician. One unnecessary way remodeling can run up the price tag is if the company you choose does not have laborers with all these skills at their disposal, and are then forced to subcontract additional services out. This can be avoided by employing a company like Native Sons who ensures a Master Plumber and Master Electrician complete the proper jobs on each remodel. One unscrupulous way contractors may attempt to cut costs for you and them is by employing laborers that are not certified, or covered by insurance. While this may save money in the short run, a plethora of troubles can arise for you if an uninsured worker is injured on a job site in your home. Only trust your remodeling jobs to reputable contractors with a tangible track record. Another crucial part of your remodels total price tag is the cost of the materials that are going into the project. 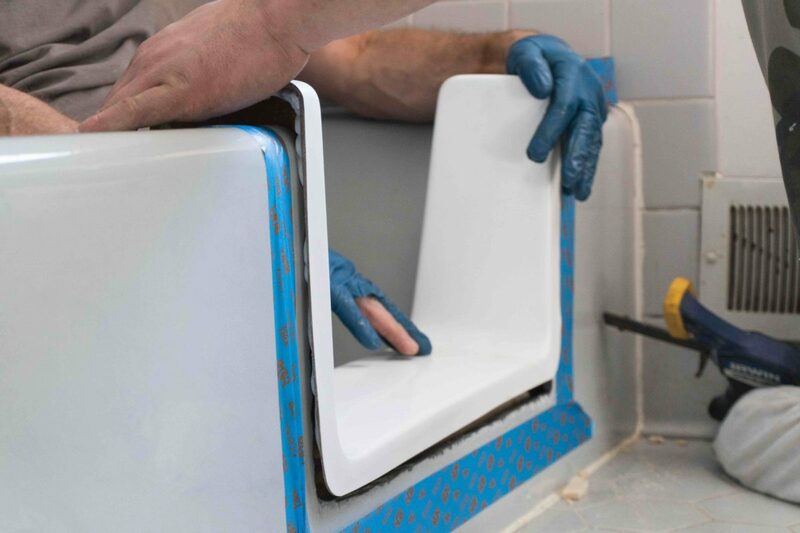 Fixtures from toilets to sinks to tubs, to tiling and waterproofing, can all vary widely in price, but as with anything else, you are largely paying for quality. If you can afford to splurge, then handcrafted tiles and a state of the art installation may be the way for you. However, choosing the cheapest option in every category can end up costing you more over time. Selecting bargain tiles that aren’t properly waterproofed may see cracking and mold that require your floor to be torn up in and redone in a few years time. Or consider ventilation systems. If you select a fan that can’t stand up to the moisture produced in your bathroom, you could soon be paying to have walls and ceilings mended. Worse yet, a cheap bathtub installation, especially if not properly waterproofed by your contractors, can lead to leaks that cause structural damage to your home stretching far beyond the bathroom. Overall, when considering materials, it is important not to just consider aesthetics but focus on longevity, and if saving some money now will be worth spending far more down the road. No one is a fan of overhead, the seemingly phantom expenses tacked on to our bills at the end of the day. However, in the case of remodeling, the overhead actually serves an important purpose, ensuring that your project is well conceived, designed, and implemented. It gives you the assurance of preemptively handling issues before they arise, from the surprise permit necessary for completing a remodel to design flaws that could’ve been avoided had contractors taken more meticulous care planning. While contractors may be able to save you money by cutting corners on the design process, the reality is that more often than not this can lead to issues that range from you being so dissatisfied with the final product to disastrous oversights that can result in significant damage to your home. Contractors that skimp on the planning phase may not have a proper solution of how to handle antiquated plumbing or be versed in the building code of your area. All of these flaws fall back on you, and your wallet. As such, it is crucial to select a contractor with that has to experience with meticulous planning and meeting their customers’ needs. Want To Learn More About Bathroom Remodeling? 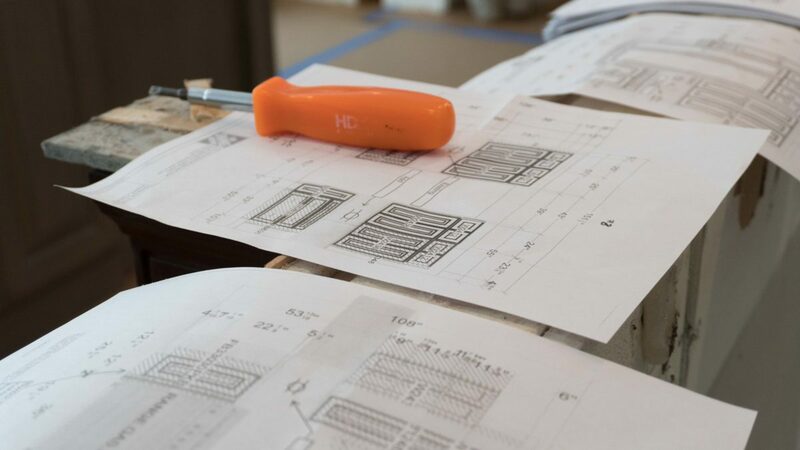 With over 30 years of remodeling experience, Native Sons prides itself on our ability to maximize quality and affordability from the design to material selection to installation. With a variety of valued partners, from Reico Kitchen and Bath to The Home Depot, Native Sons is prepared to deliver you the bathroom remodel you’ve always desired. Contact us for a quote today! If you’ve ever thought about re-tiling your bathroom, you’ve likely wondered if there are options beyond the standard ceramic tiling that is common in most bathrooms. Tiling doesn’t have to be usual, instead, there are a variety of more unique choices that can help make your bathroom a standout. This fine-grain stone is a great, sturdy option that provides a unique rustic charm. Slate compliments particular homes better than others, as it may clash with those who are looking to outfit their bathroom with a more modernized feel. You’ve probably seen marble utilized for a variety of functions, including countertops but it also makes a great alternative for tiling. Marble offers an elegant aesthetic touch while also affording great durability. Marble is also variable, allowing with the options to be colored and textured. Granite has many qualities similar to marble, but is even more durable and comes at a far more reasonable price tag. 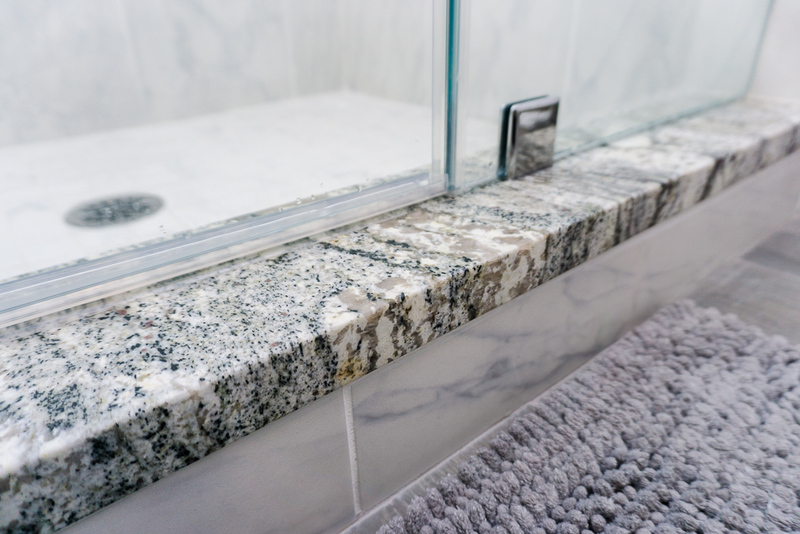 Granite is very versatile as well, coming in a massive amount of different colors and patterns make it easy to fit in bathrooms of any style. Want to bring out the light in your modern bathroom? Glass tiling is a great option for you then. Glass tiling is reflective, which can brighten the room and gives your bathroom a consistent styling to match a porcelain sink and toilet. 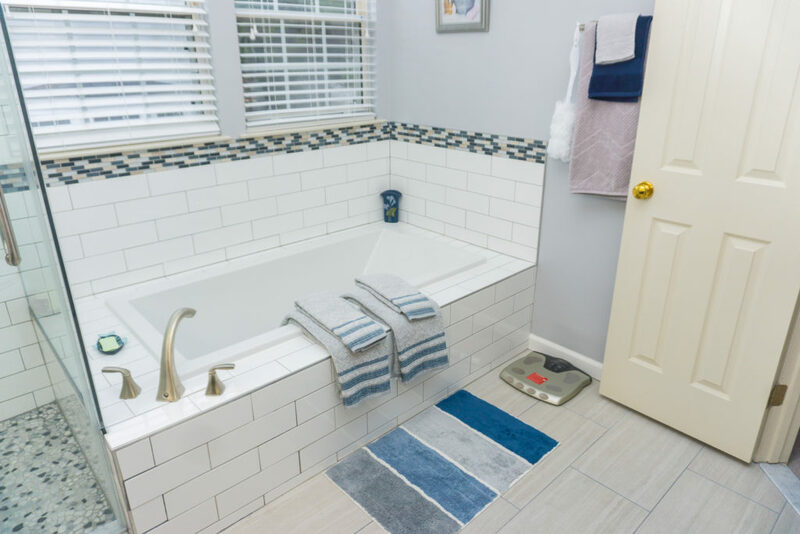 While quarry tile is most commonly found in public bathroom spaces, it is becoming more popular as a residential option thanks to its affordability. It is an incredibly versatile tile, seeing usage in patios and poolsides among many others. This ancient building material is seeing new use in today’s renovations. Traditionally known as a softer stone, when properly varnished it provides a beautiful and unique tiling option that can provide your bathroom with a wonderful aesthetic. Ready to Re-Tile? Contact Us Today! Tiling options are as complicated as they are varied, which is why it can help to have experts in your corner. The team at Native Sons has handled bathroom renovations for over two decades, and our project managers and installers have extensive knowledge of not only niche tiling materials, but patterns that will help add beauty and utility to your bathroom. We work side by side with you to achieve the results you want. Contact us today! While many homeowners remodel the bathroom to address necessary repairs, others choose to do so to improve the appearance of the space. No matter your motive, everyone must take the steps required to maintain a beautiful, clean bathroom. If you’ve recently completed a bathroom renovation, discover how you can keep it looking its best. Your new freestanding jacuzzi requires different care than the shower and tub combination you had in your previous bathroom. Talk to your contractor or designer about your new appliances and flooring materials, and learn more about their required maintenance. If you’re unsure of how to maintain your new showerhead, visit the manufacturer website for more information. The biggest trend in contemporary bathroom design is technology integration. Whether you’ve invested in an intelligent toilet or an advanced digital shower, make sure to do your research before your first use. 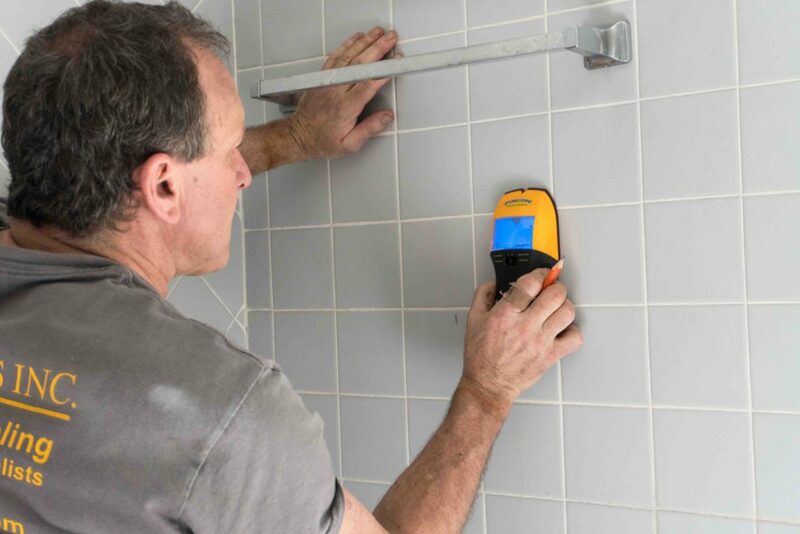 It’s not just important to clean the shower; homeowners must also regularly maintain and update their bathroom technology to ensure its effectiveness. Whenever you upgrade to new appliances, take a few minutes to register them on the manufacturer’s website. It’s a simple procedure and could save you hundreds, if not thousands of dollars, down the line. Ensure that warranty covers your new luxury faucets before putting them to use. A clean bathroom is a hygienic bathroom. If you can’t clean your bathroom regularly, consider hiring a professional cleaning service to handle it for you. 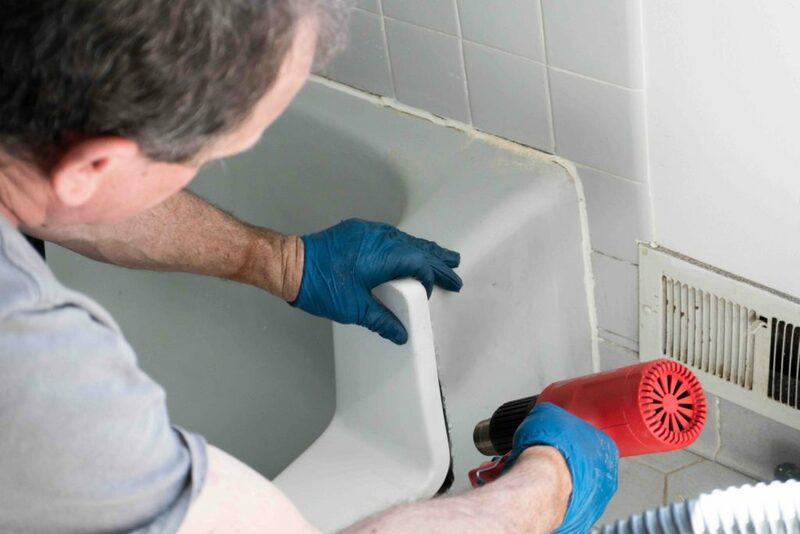 Maintaining a clean bathroom is especially important during the humid months of a Maryland summer when mold and mildew grow most easily. 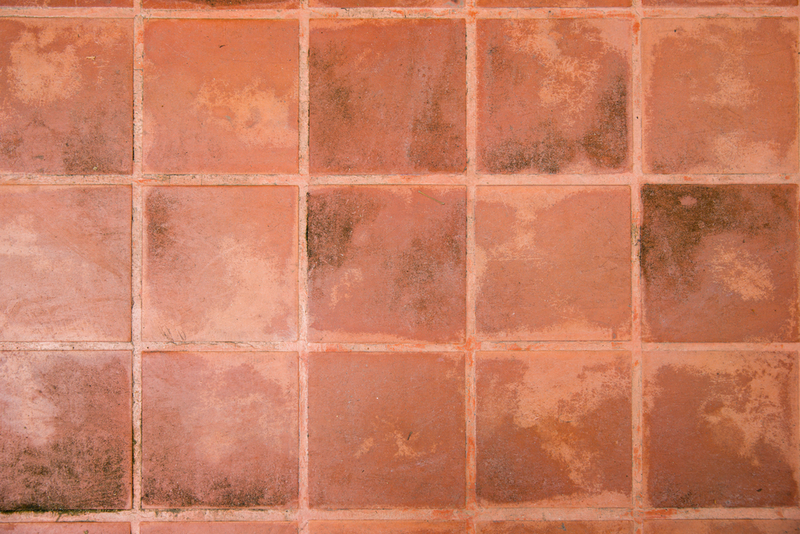 Before you scrub your new tile floors, ensure that you’re doing so correctly. Your contractor can suggest the best method of maintenance, including which tools to use and how frequently you should clean. Your newly renovated bathroom might exhibit all of the modern-day conveniences, but it still requires an old-fashioned cleaning. Now that you have a sleek, up-to-date bathroom, make sure that it stays organized. Take advantage of your new storage tools, and introduce an organizational system that the entire family can follow. Designate a shelf for linens, a cabinet for cosmetics, and a drawer for hair products to ensure that the bathroom looks its best at all times. Assign a specific cupboard to each family member to decrease clutter and improve efficiency. For over 30 years, Native Sons has helped thousands of clients in Baltimore and throughout Maryland. As a fully-licensed contracting company, we are able to complete a project from start to finish, without having to sub-contract any work out. Having all of the necessary licenses in-house makes the remodeling experience for our clients less stressful and straightforward. Do you have any questions? Feel free to give our administrative team a call at (410) 788-5179, or send us an email on our contact page. We look forward to hearing from you soon and helping you turn your dream kitchen into a reality! Michelle’s home was built in 1968. Despite a few semi-renovations, the bathrooms were beginning to show excess wear and tear. She reached out to Native Sons for a renovation and was kind enough to share her experience of working with the team. Why did you want to remodel your bathroom? The bathroom [consisted] of a lot of older tile. Things were starting to give away, and it never felt clean even if I scrubbed it. The vanities were old, the toilets were old, so it really needed a facelift. What were your first impressions of the team? I felt they kept the lines of communication open. If there was ever a hiccup, it was addressed quickly and rectified quickly. I’m in real estate, and there was a house in the neighborhood I was helping to sell. When I walked in one day, there was water pouring through the ceiling, and it was the same day that Adam was supposed to [start the project]. He graciously helped me clean up the water issue we had. I felt that was very honorable for him to do that. What are your favorite aspects of the finished project? My favorite things about the new bathrooms are the color scheme; I love the new tile. The floors are probably my favorite, especially the Kohler the fixtures that [the team] helped us pick out. How would you describe Native Sons? As a company, they wanted us to be happy, and that spoke volumes to me. They did everything professionally, and the required permits were pulled. I think it spoke volumes to how they work and the integrity of the company. Are You Looking for a Remodeling Contractor? For over 30 years, Native Sons has helped thousands of clients in Baltimore and throughout Maryland. Being a fully-licensed contracting company, we are able to complete a project from start to finish, without having to sub-contract any workout. Having all of the necessary licenses in-house makes the remodeling experience for our clients less stressful and straightforward. Do you have any questions? Feel free to give our administrative team a call at (410) 788-5179, or send us an email on our contact page. We look forward to hearing from you soon and helping you turn your dream bathroom into a reality! In large cities like Baltimore, it’s not unusual for households to have only one or two bathrooms. A bathroom renovation can provide a variety of benefits for single or multi-member families, but the construction process can present some challenges. Of course, it is important to first consider how much the bathroom renovation cost will amount to, in order to ensure it is a financially viable option. When selecting your perfect kitchen faucet, make sure you’ve checked out this list over at Identifyr. Learn how you can live comfortably for the duration of your bathroom renovation and consider the following tips. If you’ve considered going on a trip, consider taking your vacation during the renovation. You can avoid all of the general disruptions of remodeling, such as loud construction noises and limited bathroom time. If a vacation isn’t in your budget, consider staying with a friend or family member. Create a bathing schedule for your family. Sit down and discuss the options fairly, and consider everyone’s calendar. A schedule is especially important if family members go to work or school at the same time. Alleviate the stress of a bathroom renovation by taking advantage of your gym shower. You can maintain a normal schedule since you won’t have to wait for a family member to bathe or brush their teeth. If you exercise irregularly, the added incentive of a bathroom renovation could help you get back in shape! It might be a good idea to make sure you got the right home energy quote as well so you know you will be staying in budget. I hear Money Expert (https://www.moneyexpert.com/gas-electricity/) provide some excellent price comparisons. Bathroom renovations are especially difficult for families with one bathroom. If you aren’t able to relocate, talk to your contractor about remodeling options. The team may be able to renovate the bathroom in sections, but it may also lengthen the duration of the process. Renovating any room in your home, from the kitchen to the bathroom, requires patience. The disruptions may create headaches for a time, but keep in mind that your design team is working hard to create your dream bathroom. Soon enough, you’ll be bathing in the comfort of your new jacuzzi bath. Or perhaps, you’ll be washing your hands in your new double sink vanity. Take the process one day at a time, and look forward to the finished product! 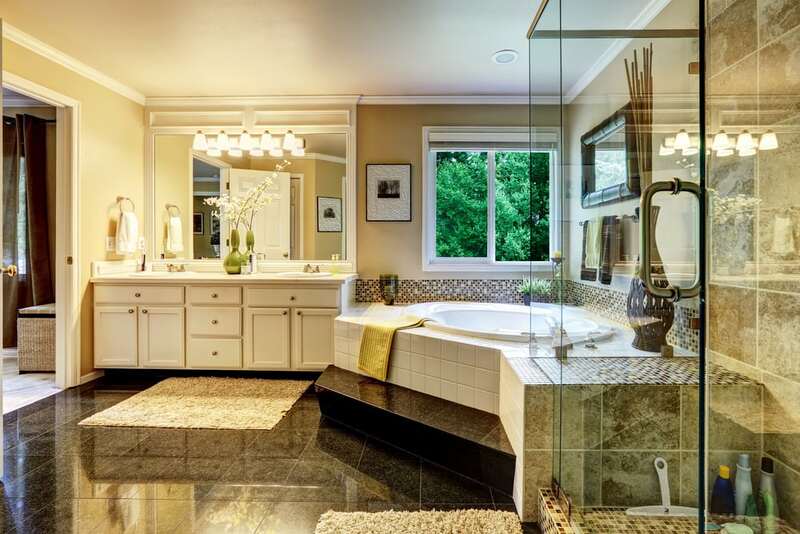 Remodeling Your Bathroom In Baltimore – Choose The Experts! How Do I Plan a Bathroom Remodel? Sometimes larger home projects can be intimidating because you may not know where to start. When it comes to planning your bathroom remodel there are many things to consider. Take a look at the following that should be taken into consideration before beginning your project. Planning your budget for your remodel is vital. Make sure that you are realistic with the budget you are creating. You should have an idea of how much the materials and the labor for your project may cost. 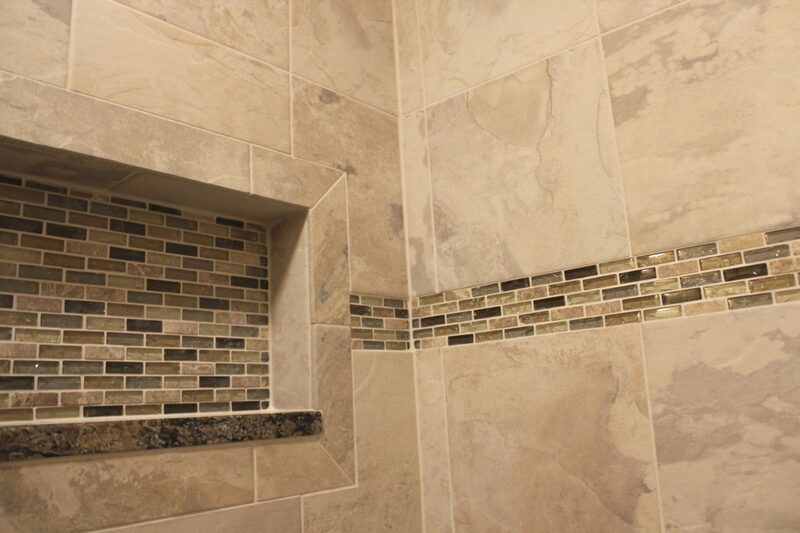 Do you want niche tiling in your shower? How much is that custom vanity going to cost you? Consider all of these things and don’t forget to leave room in your budget for unexpected costs that may arise. You will be thankful that you thought ahead. 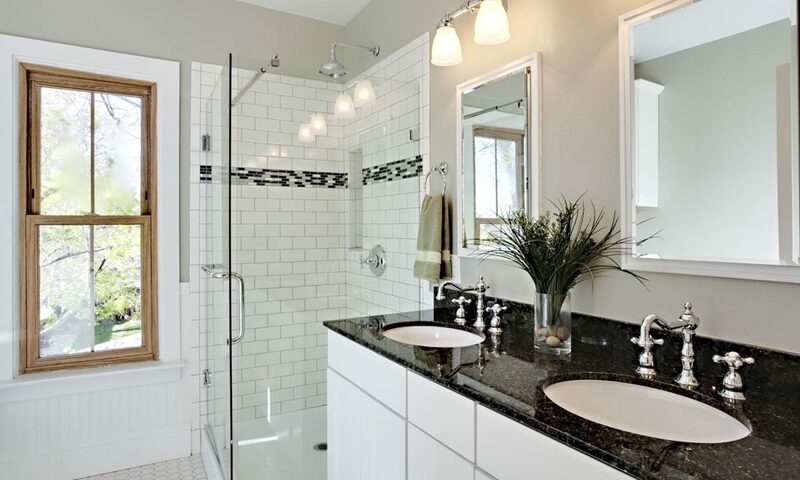 The design of your bathroom is a very important factor to consider while planning your remodel. Find photos that you can draw inspiration from. Make a Pinterest board to compile your ideas all in one place. Make sure to consider the layout of the bathroom. The functionality of the space is also very important. If this is a guest bathroom, maybe you don’t need to spring for the heated flooring. 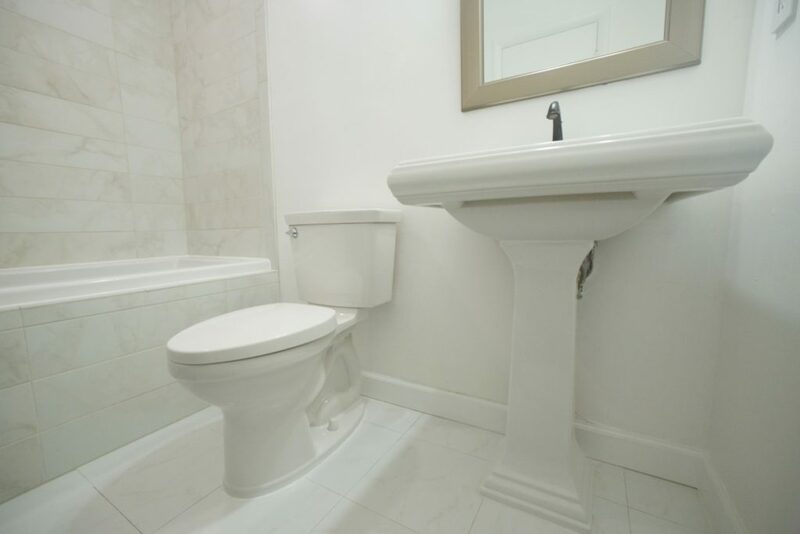 It also may not need substantial storage in comparison to the master bathroom. Focusing on the larger design factors in the room, like the style of shower or bathtub, first will help streamline this process. The smaller details involved with the design may change as you see the project piece together. Remember, when the work is being completed in your bathroom you most likely not have full use or access to it for a while. Is this the only bathroom in the home? 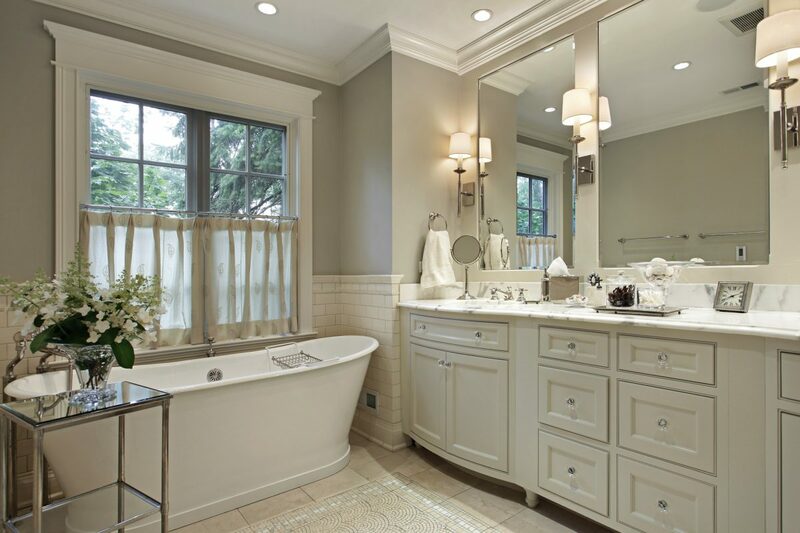 Are you remodeling your half bath or guest bath? Which bathroom is being re-done definitely affects how your household will function during this time period. You should also think about when the work is being completed. Is it better for you to have the work completed during the school year when the kids will be in school for most of the day? Sometimes the work may take longer than expected if any issues arise. Prepare to have your bathroom to be “out of order,” for longer than the estimated duration of the project. Being without a functioning bathroom can be stressful! Choosing a great contractor who will communicate with you throughout the duration of the project is key. Not only will they keep you updated on the progress of the project, but they will help you address and assess any issues that arise. Having that extra room in your remodeling budget will put you at ease if something unexpected arises. One of the most important decisions you make in your remodeling project is choosing a contractor to work with. You want to make sure they have great reviews online and a good rating with the Better Business Bureau. Finding client testimonials and reviews online is a great way to get a better idea of what kind of company you would be working with. The contractor should be trustworthy-they will be in your home for an extended period of time and most likely unsupervised. You also want to be able to trust their expert opinions. An experienced contractor will have seen their fair share of issues on the job and will know how to assist you in making informed and budget-friendly decisions if an issue arises. For over 30 years, Native Sons has helped thousands of clients in Baltimore and throughout Maryland. Being a fully-licensed contracting company, we are able to complete a project from start to finish, without having to sub-contract any work out. Having all of the necessary licenses in-house makes the remodeling experience for our clients less stressful and straightforward. Do you have any questions? Feel free to give our administrative team a call at (410) 788-5179, or send us an email on our contact page. We look forward to hearing from you soon and helping you turn your dream bathroom into a reality! Have you been looking to discover the true cost of remodeling a bathroom in Maryland? If so, you’re probably wondering what are realistic numbers and how much a kitchen remodeling should actually cost you. In our other article, Renovation Costs in Maryland, we discuss what are realistic numbers to expect for your remodeling process. In this article, however, we will be focusing on taking a look at strictly bathroom the cost of remodeling a bathroom. According to a cost analyzer from Remodeling Magazine calculated that an average kitchen remodel in Baltimore costs $18,070. You may be asking yourself “can you go cheaper?” The short answer is “yes”, however it is important to remember that you get what you pay for. A lot of the time when you go with a contractor that provides you with an estimate significantly below the average cost, you may be receiving work that is not up to a high enough standard. One thing to keep in mind is the more money you save during the initial remodel, the more headaches and repair work your kitchen will probably need later down the road. With over 30 years of experience in the field, we have been providing interior remodeling and kitchen remodeling services to clients all throughout Maryland. If you have any additional questions about your remodeling project before getting started, feel free to send us a message directly on our website or by giving us a call at (410) 788-5179. Our main office is located in Baltimore, MD, where we have a fully-staffed administrative team ready to answer any questions you may have! Are you planning to remodel a room in your home but have no idea how much to budget? The first thing any homeowner should do when planning for a remodel is to establish a realistic budget for the project. How much money you have to spend will affect the scope of work that can be done and vice versa. To begin building your budget, let’s take a look at the general costs of different remodeling projects. Everyone has heard the phrase “you get what you pay for”. In this case, if you are spending more money, then you’ll be able to afford higher quality products and a more intensive scope of work. Similarly, if you have a small budget, you’re more likely to get a simple renovation than an intensive remodel. Reasonable, right? So, how exactly do we define large and small budgets? Let’s take a look at some numbers. According to a report published by costvsvalue.com, a cost analyzer from Remodeling Magazine, an average bathroom remodel in Baltimore costs $18,070. An average kitchen remodel in Baltimore costs $59,387, while a simple kitchen renovation costs $20,057. Now, let’s break these numbers down to see how we’re arriving to the grand total. Here are a few averages from a Consumer Reports article about an average kitchen renovation. As you can see, the cost of a kitchen renovation can vary depending on exactly what appliances you purchase and how intensive the remodel is. In fact, Consumer Reports lists the national average for remodeling a 200 sq. ft. kitchen between $19,226-$56,786. That may seem like a wide range, but makes sense when you consider the cost difference between a refrigerator that’s on sale and a high-quality, brand new built-in refrigerator. When coming up with your own budget, you’ll have to consider the cost of new appliances, the cost of materials, and the cost of labor. All the small things add up, so it’s a good idea to have a rough estimate of how much your project will cost before getting started. When establishing your budget, be sure to also work in a cushion of 10-15% for possible unforeseen costs. It’s better to have more money than you need than not enough! One of the things that will help you greatly during your remodeling project is communication! Let us know early on what your budget is for the project and what you expect throughout the process. This can help us to make sure that we are both on the same page. It’s also important that you know all about other costs that may be relevant to your project and that you may not have worked in your budget. For example, some regions require that you obtain a permit before building an addition. The fee for this permit would be included in the cost of your addition. There are many “soft costs” like this, and the best way to know about them when you’re constructing your budget is to communicate with your remodeling company! After accounting for all the appliances, materials, labor, fees, and other costs, you are left with an “all-in” price. While we can’t give you a definite final price until the project is completed, with open communication we can give you our closest estimate to what the final project will cost. Working together, we can help you to get the best value for your hard-earned money! If it looks like your new kitchen or bathroom is going to cost much more than you were expecting, you may be considering another company that advertised special deals and savings. Many remodeling companies offer deals like “50% off on your first project!” or “we’ll throw in [blank] for free! !” If you’re thinking that these deals sound too good to be true, then you’re right. You may have noticed that the Consumer Reports breakdown listed the cost of labor at $15,000, which is much more than any other singular item on the list. That is because a remodel takes time, and the cost of labor goes towards paying the installers fairly for the time and work they put into your project. Many of the remodeling companies that offer deals and savings will make up for the smaller fee by paying their workers less. Oftentimes, this means using novice workers who are still learning and using your kitchen or bathroom as a classroom. Other times, it means that the company outsources its labor to several inexpensive contractors who do not have a special relationship with the company and, therefore, are not held to accountable standards. As they say, “you get what you pay for”; if you are paying less for your remodel, what you are actually paying for is poor quality and substandard craftsmanship that will only have to be fixed later. Here at Native Sons, we don’t offer any huge discounts, but we do offer quality service, vetted contractors, decades of industry experience, and honesty. These are the things you are paying for when you invest in a remodel from a reputable company. How Can I Save Money on My Remodel? While it’s not a good idea to go with companies that offer deals that are too good to be true, there are a few things you can do to bring the scope of your project within your reach. Cut back on excess: Consider what you really need. Is there anything you’re planning for that is more of a “want” than a “need”? Perhaps you’ve fallen in love with a certain costly appliance when there’s a similar one available that is much less expensive. Finish later: Maybe there is an aspect of the project that could stand to be finished at a later date. Curtailing your project a bit can bring the price down from “just out of reach” to “within grasp”. Low-cost alternatives: There may be less expensive options. For example, choosing laminate countertops instead of granite can lower your costs. Another way to lower your remodeling costs is to try to DIY a few simple projects. However, this piece of advice comes with a caveat: only DIY a project if you know for sure that you can do it correctly. Otherwise, you’ll end up spending money on materials, using up your own valuable time, and having to pay the professionals to fix the mistake anyway. If you’re thinking of a DIY project to save money on labor costs, first consider how much your own time is worth. It may make sense to save a little money by taking on a few small projects that you are confident you can install correctly (and not have to pay to get fixed later). Think about the amount of time it would take you to do these projects. Is it worth using up your own time so that you won’t have to pay for installers to do the work? If so, by all means, go for it! But if you don’t want to spend the time DIY-ing your kitchen, then it’s worth it to pay the professionals to do what they do best. Are you ready to create your dream kitchen? How about a luxurious bathroom getaway? Native Sons, Inc. has over 30 years of experience working on thousands of home remodeling projects. With our expert knowledge, attention to detail, and personal customer experience, we hope to be the right remodeling contractors for your project. We are a fully licensed, full-service remodeling company catering to the needs of Maryland homeowners. Contact us by calling (410) 788-5179 or by visiting our Contact Page. Want to see more? Follow us on Facebook for more blog and project updates! You may have started hearing the term “aging in place” thrown around by designers and builders. But just what does this term mean? And how can you incorporate the idea into your own home design? Aging in place is very much how it sounds: it’s preparing a home with features that help the homeowners to age comfortably in their own home rather than relocating to a nursing home. The idea has been catching on quickly; the walk-in shower is the trendiest new bathroom feature among younger homeowners while also being a smart investment for those who plan to live in their homes for decades to come. How Can I Age in Place? 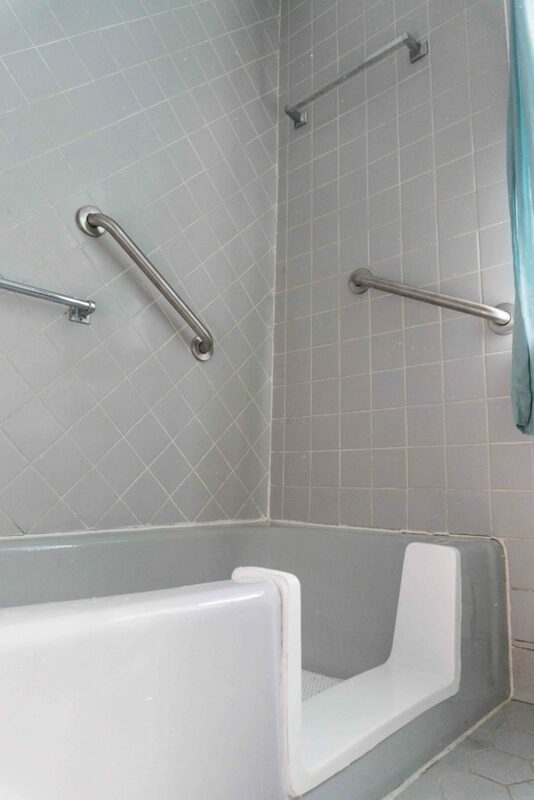 Install grab bars and a shower seat in the shower to help prevent falls. Install an adjustable shower head in the shower, which makes showering easier and more comfortable. Replace a bathtub with a notch-cut tub or a walk-in shower, both of which are easier to access. Renovate your kitchen cabinets so that there is space underneath the sink for a wheelchair-bound individual to comfortably use the sink. Switch out hard-to-grasp knobs with “D-shaped” pulls on your kitchen cabinets. Update appliances with energy-saving models that utilize large displays. Features for Aging in Place from Native Sons, Inc.
Are you ready to create your dream kitchen? How about a luxurious bathroom getaway? Native Sons, Inc. has over 30 years of experience working on thousands of home remodeling projects. With our expert knowledge, attention to detail, and personal customer experience, we hope to be the right remodeling contractors for your project. We are a fully licensed, full service remodeling company catering to the needs of Maryland homeowners. Contact us by calling (410) 788-5179 or by visiting our Contact Page. Want to see more? Follow us on Facebook for more blog and project updates! When Is It The Right Time to Remodel My Kitchen?